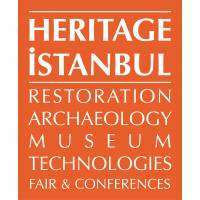 New technologies give opportunities for cultural heritage by causing worldwide interest, enriching communication and techniques Aiming at gathering the institutions working for preserving, keeping and transferring the cultural heritage to the future with sectoral suppliers, Restoration, Archaeology and Museology Technologies Fair and Conferences will be organized for 4rd time in Hilton Istanbul Convention and Exhibition Center. Is there an entrance fee? How can I register to the fair? - The entrance to the fair is free to the students and to the people who registered from the fair’s website. Entrance is 20 TL for those who did not register online. ​What is the visiting hours for the fair? How can I follow the announcements about the process? - You can follow the fair’s social media accounts to follow the announcements and updates.